Matthias Mueller, newly appointed CEO of German car maker Volkswagen on Sept. 25, 2015. Volkswagen plans a complete makeover of its diesel technology in the wake its emissions cheating scandal. The new versions of its high-mileage engines should go into production "as soon as possible," according to VW brand chief Herbert Diess, NBC News reported. The maker's current 2.0-liter diesel was surreptitiously programmed to produce low levels of smog-causing nitrogen oxides (NOx) during emissions tests, but in a trade-off apparently meant to improve performance and mileage, those TDI engines were allowed to produce significantly higher levels of pollutants in real-world use. 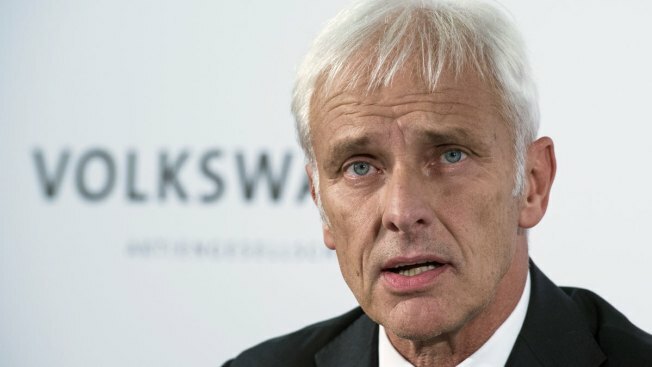 VW has confirmed it used the so-called "defeat device" technology in 11 million vehicles sold worldwide over the past seven years, including 482,000 in the U.S. Even as VW moves ahead on developing a new version of its small EA 189 diesel engine, the maker will cut about $1.1 billion in annual investment spending, Diess confirmed Tuesday. VW has so far set aside $7.3 billion to cover the cost of the scandal, but many analysts believe that figure is far too low.